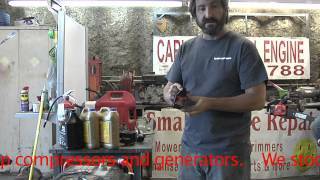 This video talks about how to repair your chainsaw, 2 cycle oil, and gives some general information about chainsaw maintenance when you bring it out of storage. This video is very helpful in understanding the maintenance aspect of 2 cycle engines. A lot of us I'm sure just pull our equipment out of storage, fire it right up without checking anything, and have at it. Truthfully, that's how a lot of equipment fails. Check out this video to learn more!